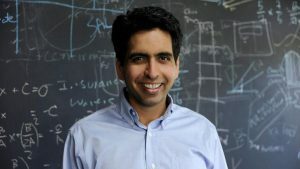 An undeniable front-runner of personalized learning and one of the most influential people in education technology today, Sal Khan, the founder and CEO of Khan Academy will be the Opening Keynote. With 62 million registered users across 190 countries, Khan’s nonprofit with a mission of providing a free, world-class education for anyone, anywhere has fundamentally influenced how students, teachers and parents use online tools to build content knowledge and develop an understanding of academic concepts. Learn how you can join his movement to revolutionize the future of teaching and learning during his presentation on Monday, January 28, 2019! Back by popular demand, Tech Share Live — a fun, fast-paced look at the latest, most exciting ed tech gadgets, apps, hardware and software through the eyes of leading experts, Adam Bellow, Hall Davidson, Leslie Fisher and Kathy Shrock will take place on Tuesday, January 29. In addition to amazing keynotes, FETC features some of the world’s most accomplished ed tech experts— you will get the chance to spend 4 days learning from and brainstorming with ed tech experts, innovators, analysts and esteemed peers like Rafranz Davis, Steve Dembo, Candice Dodson, Diane Doersch, Gail Lovely, Mike Marotta, Derek McCoy, Ann McMullan, Michael Meechin, Shannon Miller, Mary Schillinger, Eric Sheninger, Dr. Randy Ziegenfuss and many more! Register today to get the lowest rate — Save $150.00 when you reserve your seat now! You don’t want to miss out on the gathering of the most dynamic and creative education professionals from around the world for an intensive, highly collaborative exploration of new technologies, best practices and pressing issues at FETC 2019! To register visit fetc.org.